A good brand of sliced bread is essential for anyone who has had to go off gluten. The gluten-free section at any supermarket will feature a variety of weird, plastic-looking bread, sometimes in portions of 4 slices….which means two dull breakfasts and a financial crisis. Don’t buy those, they are a rip-off. One of the things I’ve learned is that wholemeal gluten-free bread tastes much better and is much more satisfying than the white variety. The white bread is OK when toasted, but its consistency leaves much to be desired when fresh, and a sandwich is definitely not filling enough, because the bread has the texture of cake and melts strangely in your mouth. 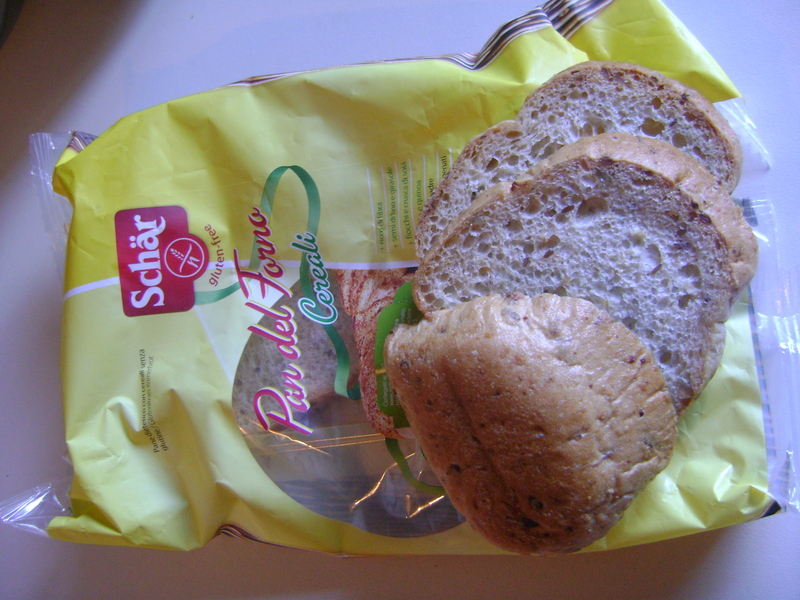 The best kind of bread I’ve had so far was Schar’s Pan del Forno Cereali. This bread is great, perfect for toast AND for a packed-lunch sandwich. Each slice is only 55 calories, and although the slices are rather small, the bread contains seeds and has a nice texture, and leaves you comfortably full for some time after. At something over 2 Eur per loaf, this bread is an ideal way to enjoy bread, gluten-free, and without being completely ripped off. Can this bread be purchased in Australia though? I’m afraid I have no idea. I live in Malta, which is many, many hours away by plane.